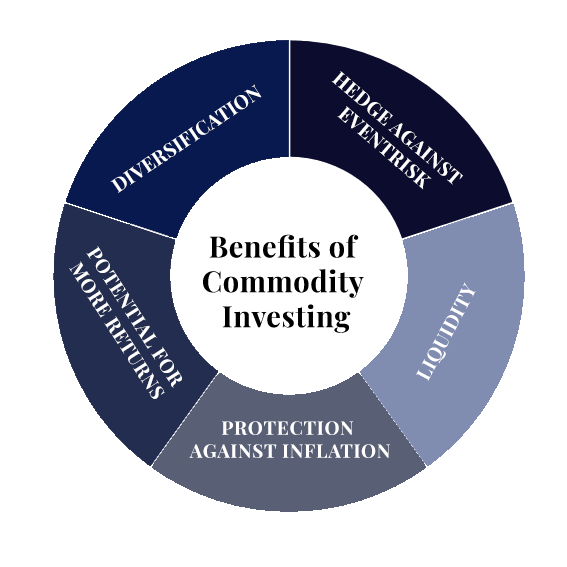 Commodity market may become the investment-centric in 2019. After nearly a decade of underperforming almost every asset class on the planet, it could well be the time for the resurrection of tangible assets. Let’s have look at the historical chart of the Bloomberg Commodity Index to measure the hidden potential of the commodity market. This index tracks more than 20 commodities in energy, agricultural and precious metals. The benchmark has fallen more than 52% from its 2011 peak even after the recent upturn as investors have been avoiding the asset class. Given the fact that stocks & bonds have been rising for the past 10 years and 8 years respectively, commodities may rhyme with history again. Economists have already backed this rhyming with something called “theory of the commodity “supercycle,” a term coined during the 1990–2008 period when most commodities experienced double-digit annual price growth. The price of oil & copper rose by 1,062% and 487% respectively during the so-called ‘Supercycle’ period as sudden demand from emerging markets in Europe and Asia surged after years of stagnation. This time the gains from ‘super cycle’ may not be as exorbitant as it was 20 years ago but the rationale for buying commodities still remains around. There is barely any lack of turmoil in global affairs, and it’s almost certain that geopolitical events are going to dominate the markets in the near future as well. If we add natural disasters, economic crises, trade wars, market glitches, and black swans, we can safely declare that the only certainty is uncertainty. The event risk affects financial assets like stocks and bonds negatively. However, commodities thrive in such an environment and may act as a potential hedge against some event risks. Commodity returns are usually inversely proportional to the returns of both stocks and bonds. So often, when other major asset classes fall, commodities rise. However, this inverse relationship is not perfect. If the world economies were to slow sharply, commodities would definitely experience a steep fall. For instance, during the 2007–09 recession in the US, commodities dropped 40%, which was a deeper downturn than stocks. Compared to other asset classes like real estate, commodities offer high liquidity. Aside from spot trading, you can trade them in the paper form as futures, CFDs or you can even buy them with cryptocurrencies. It is easy to buy and sell a commodity. Investors can liquidate their position whenever required. Commodities are directly proportional to the corporate debt which means that it will move with debt. Talking about the US government, the debt has reached 108% of GDP and other developed countries are no better. Corporate debt is on the rise as well. In the US alone, corporate debt levels reached an all-time high of over 45% of GDP, which is 40% higher than what it was during the 2008 financial crisis. Money-printing usually results in inflation and commodities are one of the few asset classes that benefit from inflation. Therefore, having few commodities in your portfolio will definitely help you to beat the market & give you hedge against inflation. Commodity markets are volatile. Huge swings in prices are common. Smart investors can take advantage of these price swings to earn huge profits. 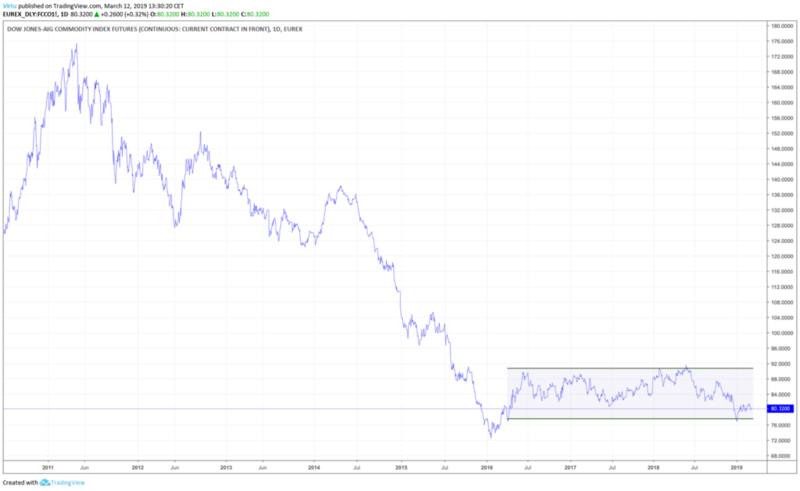 In fact, taking into account a decade of downturns, severe tensions in geopolitics and record high government, corporate and private debt levels, this might be the best timing for commodity portfolio. After long years of underperformance and cumulative losses totaling over 50%, sentiment towards commodities has turned decidedly sour. Yet, it is often when sentiment is close to rock bottom that investors should reassess a potential investment. The night is very dark, indeed and there has rarely been a better time to buy commodities. However, effective implementation is key.